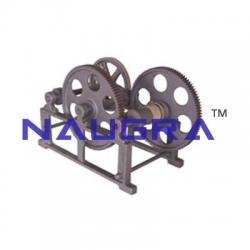 LabEquipmentsManufacturersIndia is a leading applied mechanics equipments manufactures, suppliers & exporters in India. We deals in comprehensive range of applied mechanics instruments all around the world. Our applied mechanics equipments are highly appreciable & used in many engineering schools, colleges, universities, research labs & vocational training centers to study & experiment the function & working of applied mechanics instruments.